Enriched by our vast industrial experience in this domain, we are into providing Metal Packing Clip. 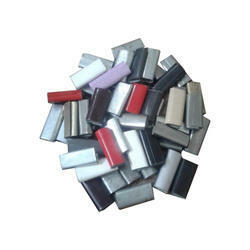 We are a manufacturer and supplier of Steel /plastic strap packing clips. These are made from fresh s.s.sheets. and are available in packings of 1kg, 2kg, 50kg. packing Clips. size 12mm 16mm 19mm GIIt has quality and good martial. 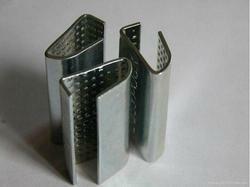 I m A manufacturer reigester company of " S A STEEL TARDERS "
and i can supply all over in INDIA . We are one of the reliable companies in this domain and are into offering Strapping Seal. Our company has achieved widespread recognition in providing Plastic Packaging Clip.